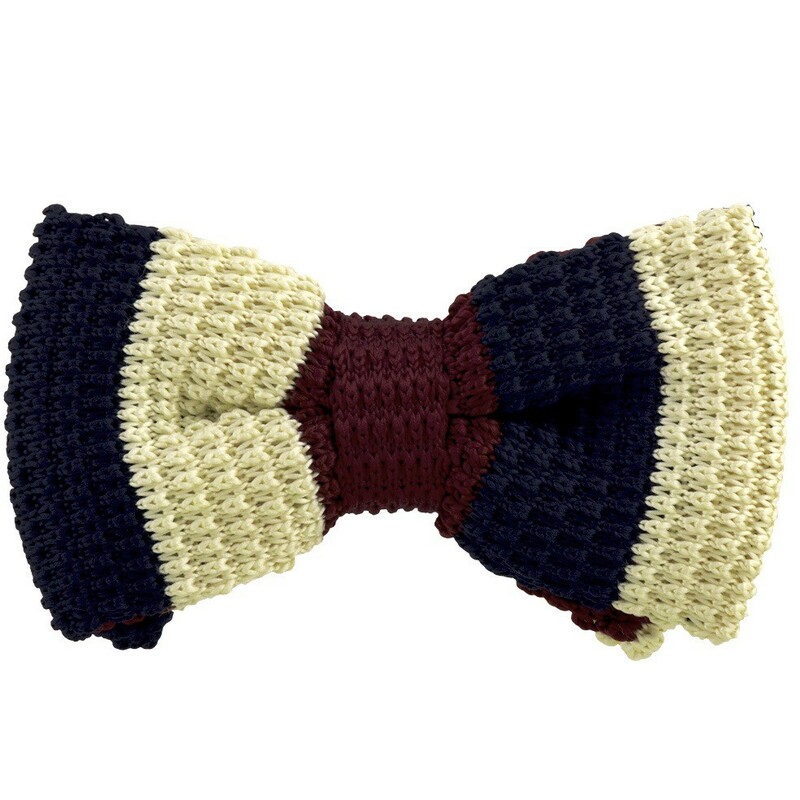 Material: This bow tie is made from Knitted Polyester and can be adjusted to fit any size. Bastion of refined craftsmanship, The Tie Hub is known for using a handmade process in building knitted ties, aptly demonstrated by this exquisite Three Shades of Blue Knitted Bow Tie. Knitted by hand, this piece has a summer-weight feel and a subtle luster. The understated taupe hue will complement a range of colors from classic cream to Maroon.